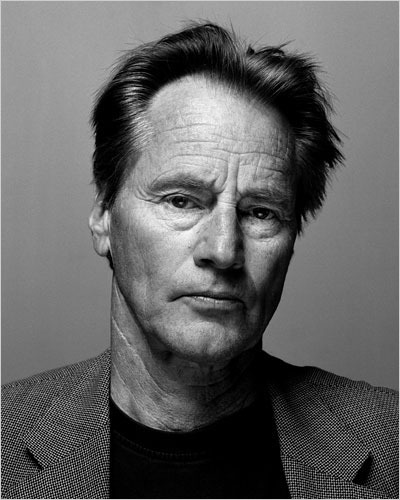 Sam Shepard, born 5 November 1943, is an author, playwright, actor and director. He won the Pulitzer Prize for Drama for his play Buried Child, and was nominated for an Academy Award for Best Supporting Actor in The Right Stuff. I think without writing I would feel completely useless. When you hit a wall – of your own imagined limitations – just kick it in. I’ve heard writers talk about ‘discovering a voice’, but for me that wasn’t a problem. There were so many voices that I didn’t know where to start. The great thing for me, now, is that writing has become more and more interesting. Not just as a craft but as a way into things that are not described. I’m a writer. The more I act, the more resistance I have to it. If you accept work in a movie, you accept to be entrapped for a certain part of time, but you know you’re getting out. I’m also earning enough to keep my horses, buying some time to write. My first job was with the Burns Detective Agency. They sent me over to the East River to guard coal barges during these god-awful hours like three to six in the morning. It wasn’t a very difficult job — all I had to do was make a round every fifteen minutes — but it turned out to be a great environment for writing. I was completely alone in a little outhouse with an electric heater and a little desk.